Имате въпрос към Grand Harbour Hotel? Разположен в чудесния район Град Макау, Grand Harbour Hotel заема удобно място в разглеждане на забележителности, казина, нощен живот център на Макао. Разположен само на 7.8 km от центъра на града и на 14.4 km от летището, този 3-звезден хотел привлича всяка година множество посетители . С удобното си местоположение хотелът предлага лесен достъп до всички градски забележителности, които задължително трябва да се видят. Възползвайте се от богатството на ненадминатите услуги и удобства в Макао. За удобството и комфорта на гостите хотелът осигурява ежедневно почистване, 24-часова охрана, 24-часова рецепция, съхраняване на багаж, Wi-Fi връзка в общите части. Насладете се на висококачествените удобства по време на престоя си тук. В някои стаи са на разположение телевизор с плосък екран, стаи за непушачи, климатик, бюро, телефон, които ще помогнат на гостите да релаксират след дългия ден. Освен това в хотела можете да се възползвате от множество предложения за приятно прекарване на свободното време. С превъзходните си удобства и отличното си местоположение Grand Harbour Hotel е идеално място, в което можете да се насладите на престоя си в Макао. Отличный отель за небольшие деньги. Большие номера, хорошее обслуживание. Понравился панорамный вид из окна на казино. Единственный недостаток - это расположение. Отель расположен не в самом центре города. Но так как Макао город небольшой, то идти от отеля до основных казино примерно 5-7 минут. The beds were comfortable, the bathroom was clean, and there was a great view. The stay was OK. The staff are mostly Filipinos or Mainland Chinese with few English skills. Location is OK, with great closeness to bus stops. I enjoyed the view from my room. Very beautiful harbor views. Noisy throughout the entire stay. Didn’t really get a good rest! My name is Robert Blackmon my guess Richelle Obejo felt comfortable and was pleased with the location and staff. The hotel is a reasonable place to stay. The staff is friendly too and the place is convenient. room with sea view. Great for the first night, as they free upgrade me to a suit, but there is no hot water for bathtub, only for shower. for a standard room, the price if a bit high, but the view is nice, and room size is okay,. Just that a bit far from attraction, but there is a lot of buses passes by, so the problems will be you need to prepare a lot of coins for taking buses. Overall, nice experience. The stay was comfortable without any hassle for check in and check out. Only hassle was obtaining taxi at the hotel location and there is hardly any taxi which will pass by the hotel without any passenger on board. Have to walk to the nearest larger hotel (Sofitel) which is 600m away with all our baggage to obtain a taxi ride to the airport. I was pleasantly surprised. I needed a place to stay for 1 night at a low price point. Compared to other hotels in the area this was a great value. Room was clean and comfortable. Minor inconvenience was that they wouldn't take a credit card to cover incidentals, etc. They required $MOP500. Luckily I had enough cash, so I didn't have to go hunting for an ATM. no doubt it is quite secluded considering the price, nice receptionist, a guy is so helpful. Macau is a small place, need walk a bit to casinos, but near to St Paul Ruins. Many hidden food stalls nearby. Far from city center, so quite quiet. A bit hard to get cab from hotel.. The hotel is far from the tourist attractions. It is at least 15 to 20 mins walk to Senado Square. However, it is near a bus stop with buses bringing you to anywhere within Macau Peninsular. There is also a direct bus from the bus stop near the hotel to the ferry terminal This will come in useful as it is difficult to catch a cab in Macau. There are a few famous eatery located within 5 min walk from the hotel and some open till late. So would not have difficulty looking for food there. The room is quite large with all the basic amenities. 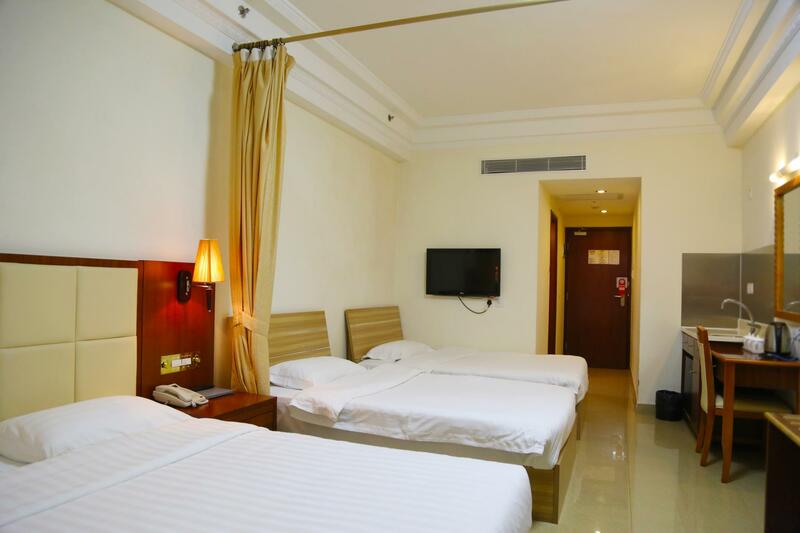 Choose the rooms facing the wharves if you prefer a view of Zhuhai. At the time of my stay, internet is only available in the hotel lobby. No breakfast. If you are looking for a decent 3 star hotel that does no burn a hole in your pocket and do not mind walking, this hotel would be a good choice. Everything was fine about this stay except the lack of wireless. Dealbreaker! Also, no one knows where this hotel is, so get its Cantonese name and address written down before you arrive in Macau. I had no internet on my phone so I ended up wandering around trying to find this place to no avail. It's difficult to find. 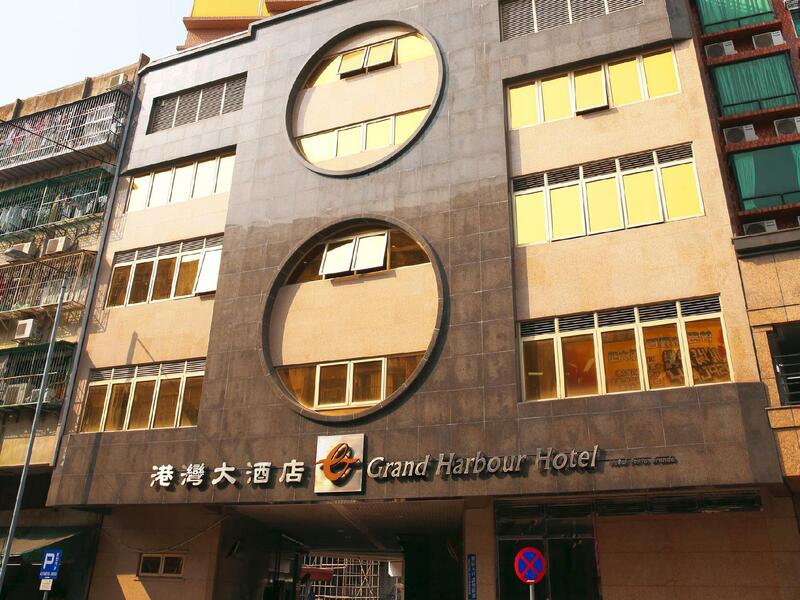 The hotel could be accessed thru public transport system from the Macau ferry, strategically located. Just a few walks is the Ponte 16, ruins of Saint Paul, and other attractions Macau has to offer. The hotel was brand new, just a few days away from its opening so you could still smell the varnish and paints, wifi still being installed, but not a big problem. Food kiosks are just around the corner with few steps away from the hotel. Staff were cool and friendly. Their bed need upgrading. I did not have a good night sleep due to their bed. It’s like lying on top of duvet and underneath is a plywood.- that’s how it feels with that bed. But the room is spacious. We are 3person me,my son and my young little girl 3yrs old.but they give us just only 2pillow then the bed is quite hard yet I felt my back pain when I get up in the morning.Restaurant staff can't understand English when my son want to Order for Dimsum Breakfast.Even the Staff in the Information can't speak English.it's good that I can speak a bit Cantonese and Understand some word.